If you are concerned about any aspect of your child’s development, it can be difficult to know where to turn for advice. How can you know whether you are right to be concerned or not? How can you get referrals to services that might be able to help you? How can you help your child and yourself through the process? There aren’t any easy answers to some of these questions unfortunately. Read. You are reading this post, so you are obviously doing this already. We have a range of free handouts on our site. One has useful and trusted websites with high quality advice on. There is so much information out there now that it can be difficult to know where to start. Hopefully this handout (as well as Special Needs Jungle, which has a wealth of fantastic information) will help you with that. Write it down. If you have concerns about your child, write them down. If you’re like me and lose bits of paper, write it as a note on your phone or save it on the computer. Don’t forget to date it! This will help you to track progress and also to remember all the things you wanted to say when you (finally!) get to a speech therapy appointment. Keep everything. Likewise, if you have any paperwork about your child, keep hold of it. Find a folder or drawer and put everything in the same place. Maybe even scan it into your computer so you don’t lose it. Talk. As a speech and language therapist, I try hard not to spend too much time talking during appointments. It can be hard – especially when you’re under time and caseload pressures and you have lots of things you need to let someone know. I know from talking to parents and reading what they have written that often they don’t feel listened to. I realise it is hard, but try to be assertive and let your therapist know that you have questions or comments. Take a list of them with you. Ask questions if you are unsure. Respectfully say so if you disagree – you know your child best and your input is one of the most important parts of the process. Listen. I have been at a few appointments with professionals about my own child – enough to know that it is hard to take in what is being said when you have lots of thoughts and emotions flying around. Your therapist may also be trying to tell you lots of different things. Recap what they have said to make sure you have understood. Ask them to put it in writing. Call them if you have questions later on or the next day or week. Be kind to yourself. A lot of advice is given out in therapy sessions. It can be easy to feel like your parenting is being criticised. This is highly unlikely to be what your therapist intends. You may be given activities to practise. This can be so hard to do when you have other children, other therapies, a job, school homework etc. You are not super-human and no-one expects you to be. There are many ways of practising skills and sitting and doing 1:1 work is often not the only, or even the best way. Do what you can in the way that works best for you and your child. If it all falls apart and nothing gets done for a week or more, don’t beat yourself up about it. The main thing is that you are trying. Check our our new Ebook! 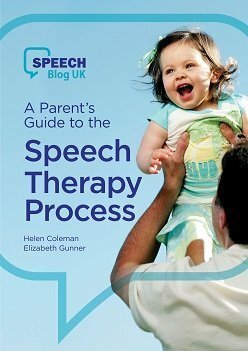 If you have found this advice useful, do check out our e-book “A Parent’s Guide to the Speech Therapy Process” which aims to give advice and suggestions to help you and your child every step of the way. 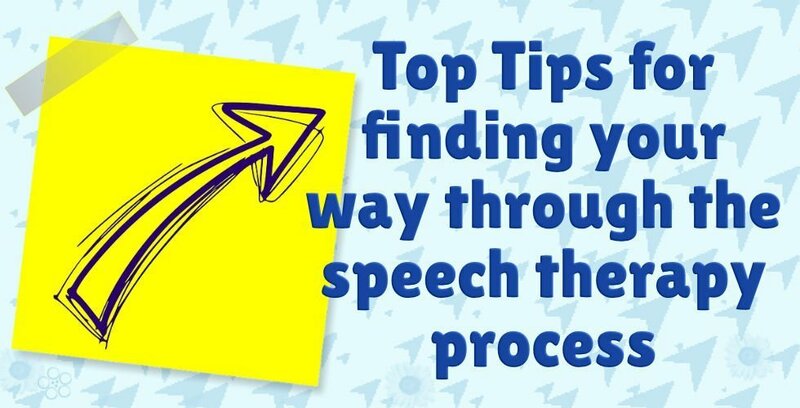 Also, do check out our free handouts and our other posts here and on our own site for advice, explanations and suggestions about many different aspects of speech and language therapy.